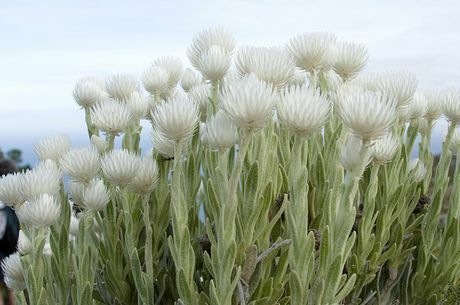 Members of the Helichrysum genus are half hardy annuals or hardy perennial plants that flower from summer through to the first frost of winter. They carry long lasting paper like flowers of orange, yellow, red, or white; the flowers may be two-coloured. They reach about 30 cm to 1.2 M in height. Some of the common names for Helichrysum include Curry plant, Immortelle, Licorice plant and Strawflower. Helichrysum bracteatum / Xerochrysum bracteatum by Terra Vermelha; creative commons. Helichrysum vestitum by Peter Baker; creative commons. Common Names: Curry Plant, Strawflower, Licorice Plant, Dwarf Everlast, Golden Everlasting, Immortelle. Life Cycle: Half hardy annual. Hardy perennial. Native: Europe, Asia, Australasia, Africa. Growing Region: Zones 2 to 10. 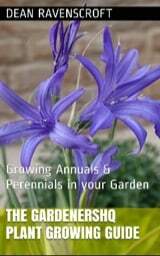 As a perennial in zones 5 to 10. Flowers: Summer to last frost. Flower Details: All colours but blue. Daisy/sunflower-like ray and disc florets. Sow Outside: Surface. Following last frost. Spacing 8 to 16 inches (20 to 40 cm). Sow Inside: Best started indoors to give the plants a head start outside. Germination time: one to three weeks. Temperature 70°F (21°C). Seven or eight weeks in advance. Transplant outdoors a few weeks after the last frost. Requirements: Full sunlight. Soil pH 6 to 7. Sandy soil. Dry soils. Occasional watering. To produce large flowers remove flowering buds from the stem; just leave one bud; all of the plants energy will be diverted into the single flower. Propagate: cuttings in summer. When growing curry plants and other Helichrysum members sow the seed on the surface after the last frost of spring. 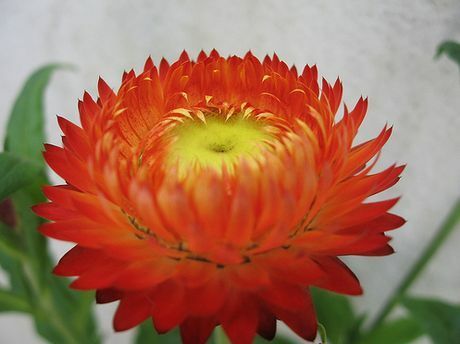 It may be best to start growing curry plants (Helichrysum) indoors first to get a head start. The growing process should start about 8 weeks before putting the plant outdoors a few weeks after the last frost of spring. Germination will take from one to three weeks and should be performed in the light at a temperature of about 18 to 23 degrees Centigrade. Once the seedlings are ready for transplanting they should be spaced at about 20 cm apart (small varieties) to 40 cm apart (larger species). Helichrysum prefer to grow in sunny areas with a sandy soil of pH 6 to 7, though they will tolerate poor soil too. Once growing if you require more Helichrysum plants then cuttings can be took in the summer, or simply let the curry plant set seed, and allow it to grow itself. An interesting trick with the Helichrysum plant is to remove all the flowers but one on each inflorescent stem; this will reduce in single big flowers atop each stem.